So after getting my S2000 back from the body shop for just a little over a week, some idiot adjusting his seat at a stop light stepped on the gas and rear ended my car. With my S2000 back in the body shop, I yet again needed a rental car to get me to and from work. Luckily, the local Enterprise by my residence was not going to charge me an arm and a leg to rent a car for two days (compared to the locations near LAX), so I went ahead and rented a car from there. Boy was I in for a horrible time. As of late, Nissan has gotten into the game of building dull, boring, lifeless vehicles, but try to pass them off as fun and exciting in their television advertisements. Frankly, the only two Nissan branded vehicles that seem like they would actually be any fun to drive are the GT-R and the 370Z, one of which is a super car, and the other a sports car. What happened to building a people mover that is actually still fun and engaging to drive? Unfortunately, Nissan had thrown the formula for building a fun and engaging sedan out the window a long time ago. 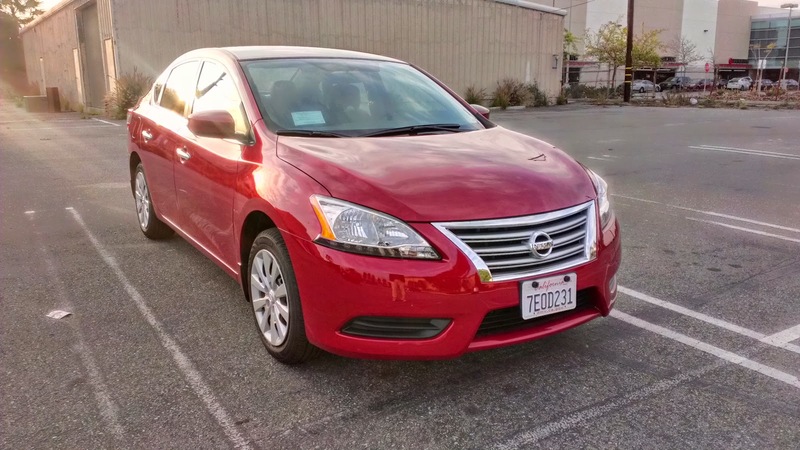 If my original review of the Nissan Versa Note SV a few months back was any indication, I should have went into the test drive of the 2014 Nissan Sentra SV with very low expectations. And although I already went into the Enterprise Rent-A-Car lot with my expectations near rock bottom, I can honestly say that a new low bar has been set. Let us begin with the interior. The Sentra SV is not the lowest trim available on the Sentra, but sitting in the car you would have you thinking otherwise. All of the plastics feel stiff and cheap, like the stuff they make toys out of. The steering wheel feels like it was lifted straight off an arcade racing game cabinet. Even the supposedly "premium" cloth seats feel like they were made from scraps of leftover fabric. I probably should have suspected how cheap the interior of this car was going to be when I got the keys. The keys felt so flimsy that I probably could have broken them had I twisted the key too hard when starting the engine. What about the styling? Besides building sub-par vehicles, Nissan has also decided it is totally cool to make all of your cars look like one another. 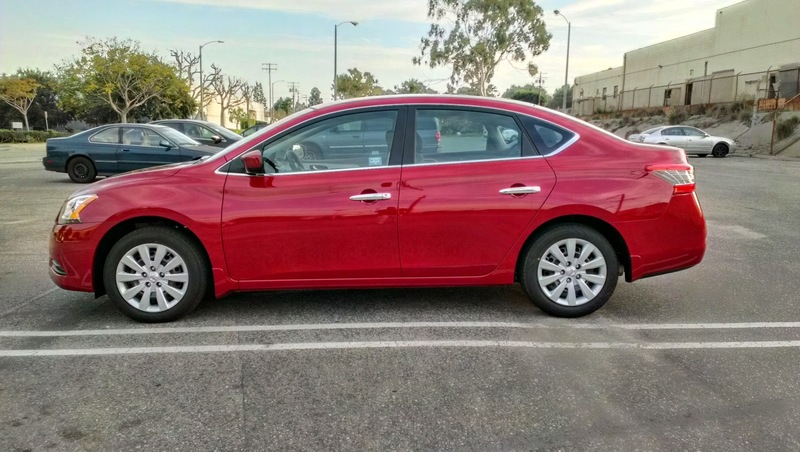 The Sentra just looks like a smaller version of the Altima (please refer to East Brother's review of the 2013 Nissan Altima S), just like how the Versa Sedan looks like a smaller version of the Sentra. It is absolutely ridiculous. When just glancing at these vehicles, I cannot really tell them apart without taking a good look. It is especially bad between the Sentra and Versa because it usually takes me more than just a quick second to tell the two apart. If all of the cars actually possessed striking good looks, then this problem would not be so bad. Unfortunately, the Nissan trio all look incredibly bland. The standard equipment in the Sentra SV is just as pathetic as its looks and interior material. 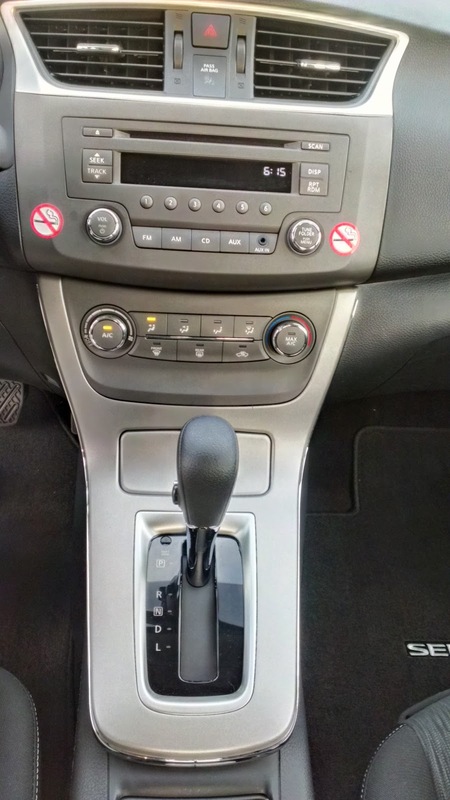 For a car that costs north of $17,000, you do not get such standard features as a USB Port or even Bluetooth. If you happen to decide that you do want those features in your car, along with some other equipment you may or may not want, be prepared to pony up an additional $1,000 for the "driver's package." This effectively brings the MSRP of the car to $18,490, which is more expensive than a Honda Civic LX (the least expensive model of the Civic), and it is still not as well equipped. The only bright spot in the Sentra SV's dismal standard equipment is the fact that Nissan at the very least gives you an auxiliary input. If you thought the car could not get any worse, wait until you drive it. At 130 horsepower, do not plan on going anywhere fast. Leaving the car's drive mode in normal and the traction control on, the Sentra feels incredibly sluggish. 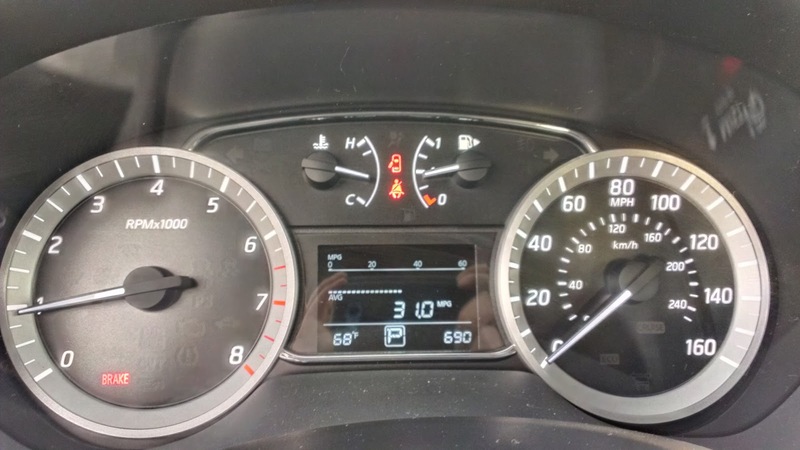 With the drive mode in sport and the traction control off, the car feels like it accelerates at a reasonable pace, only to be marred by Nissan's terrible continuously variable transmission (CVT). During a full throttle, pedal to the floor acceleration run onto the Southbound 405 after work one day, the transmission kept getting confused as to what ratio it should be in, causing the car's revs to keep bouncing around wildly and making one of the jerkiest rides I have ever felt. I was also being out paced by a BMW 5-series from the 80s too. And in case you were wondering, pretty much all of the Sentra's competition out powers it. There is an "eco" mode too, but considering how bad the car was in normal mode, I dared not try it. As if the weak engine and poor transmission were not enough, Nissan decided it was also fine to equip the car with piss poor suspension and horrible brakes. I do not think I have ever driven a car that was so needlessly harsh over rough patches of road while exhibiting so much body roll going through a corner. If the Sentra had a soft and supple ride, then I could forgive the body roll. If it had a firm ride, but exhibited little body roll, I could forgive that too. Some how, Nissan engineers managed to work the worst of both situations into one car, which is absolutely mind boggling. And the brakes? They feel useless. While most cars observe some sort of progression as you step harder on the brake pedal, not the Sentra. For the first few inches, the brakes feel like they do not engage at all. Once you do get to the point where the brakes engage, the transition is very sudden. The funny thing though is despite the sudden brake engagement, they do not actually bring the car to a full stop. At any speed beyond 35mph, I needed to press the pedal almost to the floor to get the car to come to a full stop. This also meant braking a lot earlier that I had originally anticipated at every stop. Had I needed to make an emergency stop on a highway, I think I probably would have died. I suppose the Sentra's one saving grace is that its steering actually feels well weighted for electric power steering. It is too bad that even though the steering feels pretty hefty, there is virtually no communication between the front wheels and the steering wheel. Not only do you feel nothing in the steering wheel, leaving you wondering which way the front wheels are turned, there is a gigantic dead spot in the steering too. You can turn the wheel about an inch in either direction, and the car will not react. 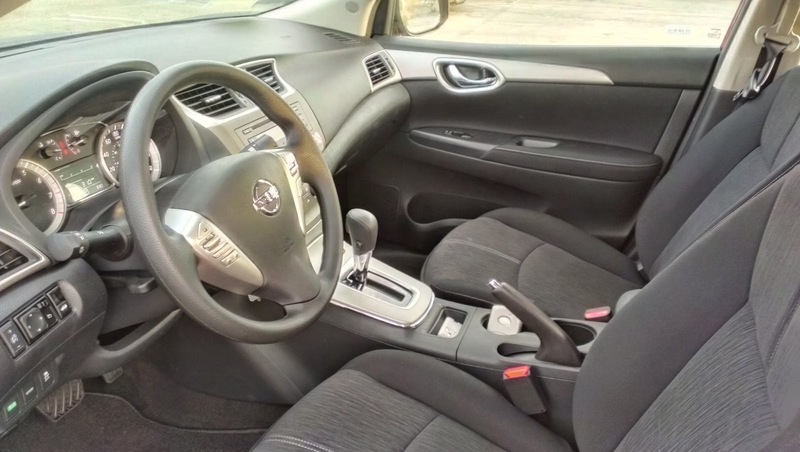 I get that the Sentra is not supposed to be a sports car, but it should also not have the giant steering dead spot and the reactions of an old luxury barge from back in the day. So besides the hefty steering, were there any other positive traits to the Sentra? The seats were relatively comfortable despite the terrible fabric material. Gas mileage was also decent as I managed 31mpg out of my two and a half day rental. Besides these three things though, I find it incredibly difficult to understand why the Sentra is consistently outselling the new Mazda3, which based on reviews, is a far superior vehicle to the Sentra. The only reason that comes to mind is fleet sales. 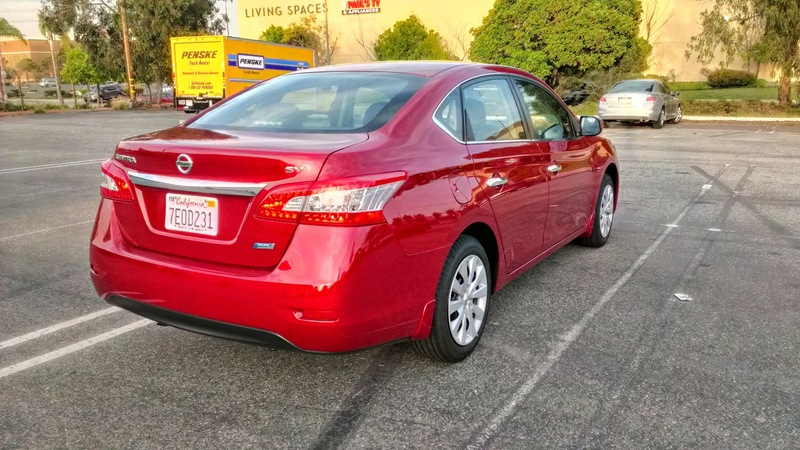 Every car rental company I looked at has a huge fleet of Nissan vehicles, with the Sentra as one of the primary staples. Clearly, it is not that Nissan cannot make a great car. Look at the GT-R, the 370Z, and most of the Infiniti line of cars. However, rather than focusing on a super car, a sports car, and a luxury line of vehicles, Nissan really needs to get back to focusing on their mass market vehicles. The more money Nissan can make off of their mass market vehicles, the more money they can actually put into their development of said super car, sports car, and luxury vehicles. With the way things are going for Nissan now, they are going to be in real trouble and the GT-R, 370Z, and the Infiniti brand would probably sink with the ship were things to go south. There is also no guarantee that Renault is going to come and save Nissan for a second time either.